Pest control in the Whakatāne Kiwi Project area is carried out mostly by volunteers of the Whakatāne Kiwi Trust. There are currently more than 84kms of trapping lines that cover 3000ha of kiwi habitat! Pest control is focused on mustelids (ferrets, stoats and weasels), rats, possums and feral cats. More recently, the Whakatāne Kiwi Trust has also been carrying out vespula wasp control to reduce the number of wasps in the project area that compete with native birds for food and eat native invertebrates. 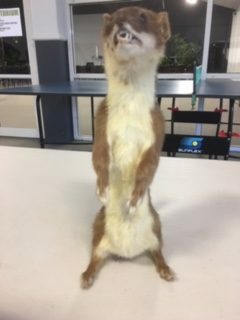 The biggest threat to kiwi chicks are stoats and in an area with no stoat control kiwi chicks have less than 5% chance of surviving. The ongoing pest control in the Whakatāne Kiwi Project area has enabled the kiwi population to grow from just 4 adult pairs to over 300 kiwi! Consistently low numbers of rat and possums have allowed the other native bird life to flourish as well creating a positive impact on the whole ecosystem. 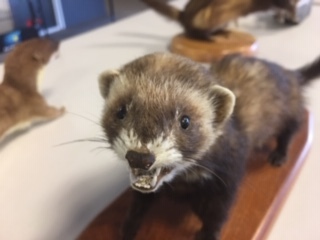 Which mustelid have you trapped? Here are some photos to help show the differences between weasels, stoats and ferrets. 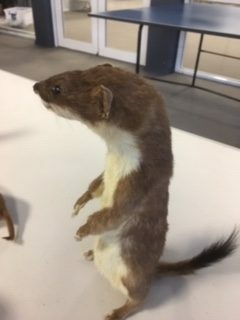 Stoats are much larger than weasels, approx 34-40cm in length nose to tail. They can also be distinguished from weasels by the presence of a large black tip on their tail. 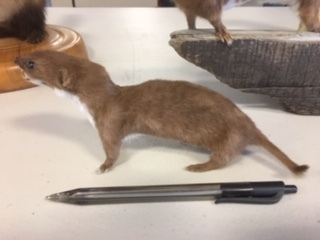 Weasels are smaller, 18-21cm long. They also have no black tip on their tail. 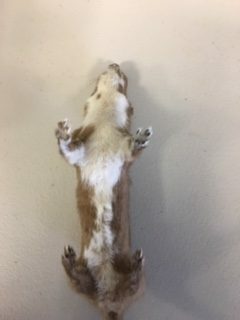 The edges of a stoat's white underbelly are straight, hence the phrase straighty stoaty. 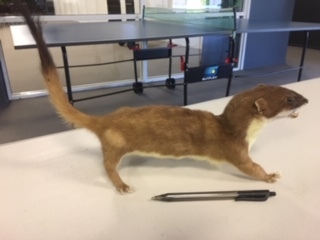 Another angle showing the straight edge of the stoat's white fur along its flank. Whereas a weasel's white underbelly is jagged and uneven, hence the phrase wavy weasel. 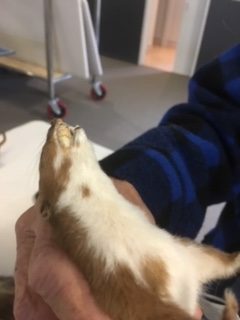 Also note the brown spots under the chin of the weasel, another distinctive feature of this animal. From below it is easy to see the jaggedness of the weasel's white fur and the brown spot on its chin. 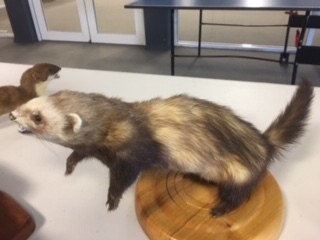 This is a ferret, much larger than either a weasel or a stoat, approx body length of 32-46cm. If you include its tail, these creatures can reach over 50cm in length. As well as the difference in size, you can easily tell a ferret by its patchy body fur and black feet.